Continuously monitor IT infrastructure in real time to proactively predict performance issues and prevent unplanned downtime and data loss. 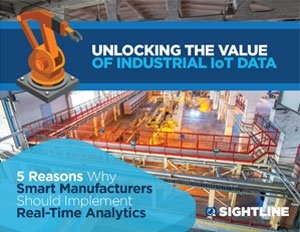 Collect, retain, visualize, monitor and analyze IIoT machine data in real time to streamline operations and improve profitability. 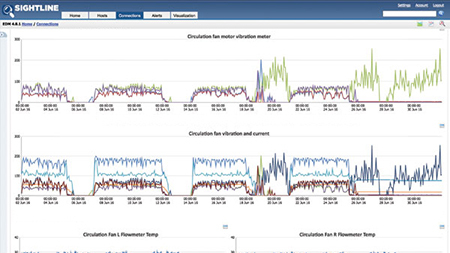 Collect, analyze and visualize time series data in real time to enhance efficiency, improve accuracy and increase profitability. Continuously monitor IT systems and infrastructure with a single, unified solution. 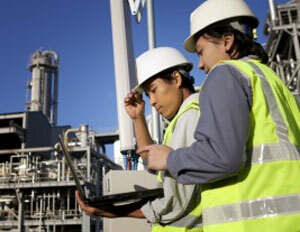 Analyze thousands of data points in real time to identify issues and prevent downtime. Eliminate waste by underscoring trends, data and patterns that are affecting efficiency. Sightline boasts a “98% Customer Renewal Rate” across 15 countries for more than 12 years.